Description: Daterra was Brazil’s first sustainable coffee farm. When the brand was launched in 1980, concepts like environmental sustainability and climate change mitigation were ignored in the business world. Besides having sustainable practices, the company compensates its emissions by preserving and restoring areas of native forest. In 1999 Daterra became ISO 14001 certified and in 2003 became Rainforest Alliance certified, another first for Brazil. Why do we love it: Daterra overcame many challenges and carried out extensive research to reach its goal of producing coffee without harming nature. Can you summarize Daterra in one sentence? 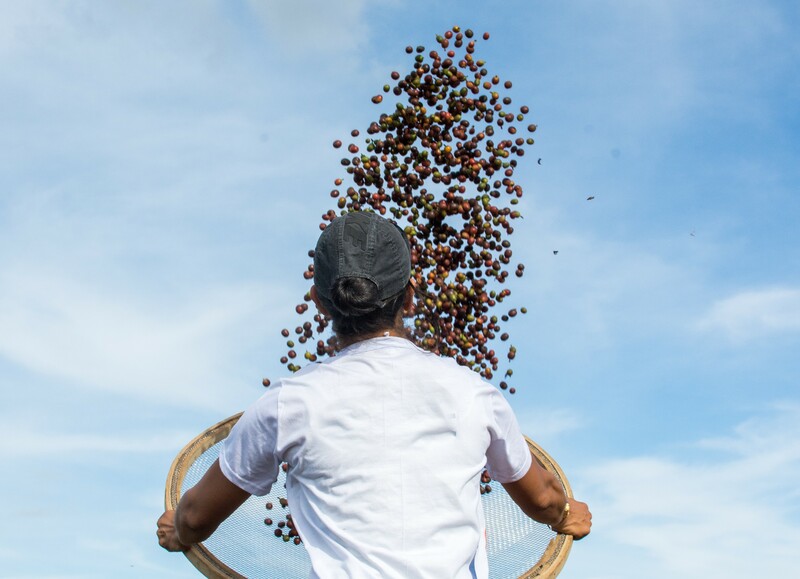 Daterra is a concept farm focused on to producing specialty coffee through its unflagging dedication on researching, studying, and learning every aspect of coffee, from seed to cup, driven by its concern on sustainability, social impact and for the future of the planet. How do you see Daterra’s future? Our future is helping the creation of global connections to find solutions for coffee challenges, plus leading for coffee security, helping farmers and communities to produce more and better coffee cups in an environmentally friendly manner. Where did the idea of the zero carbon coffee project come from? The idea of Zero Carbon Coffee project started when we decide to learn about Carbon Footprint and how it could be adapted to coffee production. It was a challenge but a learning journey that would be good for the company, for our customers and for the planet. In 2011, Daterra which was the first Brazilian company certified by Rainforest Alliance because of its sustainable production, took new attitudes in favor of the climate in an extra effort for the preservation of the environment. To receive verification « Climate Module » of the Sustainable Agriculture Network, the farm needs, first and foremost, comply with the criteria of Rainforest Alliance, and take a few steps further, taking action in favor of the climate. A study was conducted to analyze how much of these gases was « kidnapped » by the native forests and reforestation, and the 15 million coffee trees. It was also taken into account the use of organic fertilizers and creating contingency plans for employees and their families. Finally the transport of coffee to the warehouses of buyers. 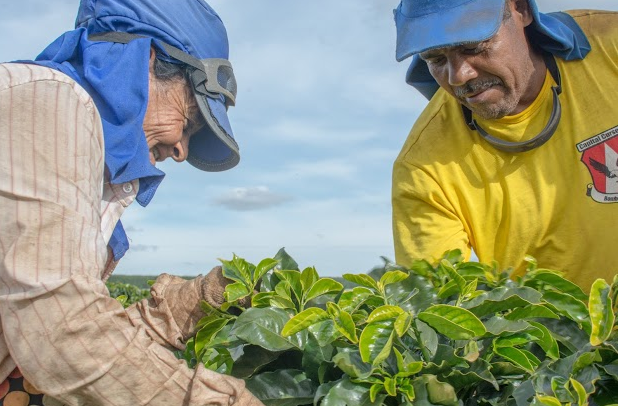 From these assessment Daterra learned and the company began investing in attitudes both to reduce pollutant emissions and to offset the carbon footprint caused by its production. Grupo Dpaschoal deals mostly in the automotive industry, but in 1980 it branched out into agriculture when Daterra was born, with the express goal of offering efficient production while preserving the environment. It was a time when concepts like environmental sustainability and emissions mitigation were virtually ignored in the business world, and even in the media. “In the beginning, we had cattle, eucalyptus and other products. We only began producing coffee in 1994, when we made the modest purchase of a farm in the Franca region,” recalls Isabela Pascoal Becker, who today is in charge of governance and sustainability at the company. The idea, stresses Becker, was to produce coffee without harming nature. 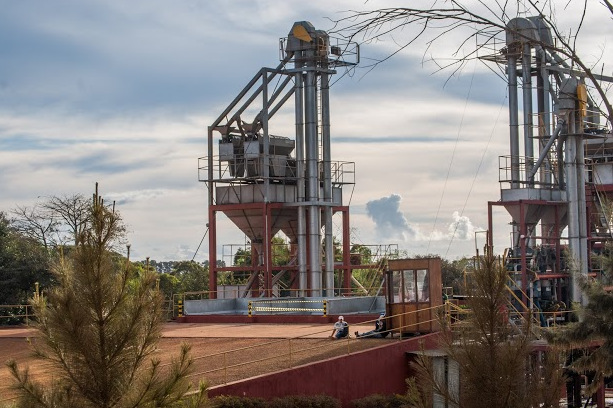 It was a long road before reaching zero carbon coffee, but today Daterra has actually pushed the limits further, mitigating all of its emissions and still accumulating carbon credits. More recently, the company contracted the services of DeltaCO2 Sustentabilidade Ambiental; with its team made up of academics and researchers from the ESALQ (the Luiz de Queiroz School of Agriculture) in Piracicaba, to carry out a thorough study on the carbon footprint of the production, processing, and sale of its coffee. The study concluded that the company more than compensates for its emissions; thanks to the preservation or restoration of areas of native forest, the coffea plants and the harvested coffee itself. The entire process was accounted for, from farming all the way to the warehouses of importers in Japan—Daterra’s biggest client. The calculations also factored in emissions produced by the composting of waste from production, the application of chemical fertilizers, the activities of machinery and trucks on the farm, the transport of coffee to the port, loading and export by ship. “The final score is a green credit of 7,280 tons of CO2 equivalent, or 90 kilos of positive credit per 60-kilo bag,” sums up Becker. Back in the 1980s, Brazil’s image as a coffee producer wasn’t very good on the international market because some exporters hadn’t followed through on their promises. “We wanted Brazil to be seen in a different way, showing that we could deliver large volumes of quality coffee,” says Becker. To meet its goal, Daterra decided to focus on the special, high-quality coffee market, using only selected arabica beans and taking advantage of its initial experience in Franca. The company sought out specialists from ESALQ and contacted illycaffè, the giant of the Italian coffee sector. “We had to learn how to produce quality coffee,” tells Becker. On a visit to Daterra at the time, Ernesto Lilly, son of the brand’s Hungarian founder, Francesco Illy, said he believed that the future of the coffee industry in Brazil would be in the Cerrado region of Minas Gerais State—a region with altitudes between 1,200 and 1,300 meters above sea level, cooler weather at night, dry days and flat terrain that would help favor harvesting machinery. Leaving Franca in 1994 in search of more propitious land, the company set up its new 6,800-hectare farm in Patrocínio, located in the “Triângulo” region of Minas Gerais State. But the first ten years were dedicated to the restoration of the land in a project that Becker calls, “reconstruction of the Cerrado’s natural state”. All the flora needed to be restored, springs and riverheads repaired, and fauna had to be reintroduced, once again in a collaboration with ESALQ for the preservation of vegetation and water resources, and with the Agronomy Institute (IAC), which Becker says helped to select the most recommended varieties of coffea plants. “In truth, both institutions are our partners and still help us today,” she adds. In 1999, Daterra was able to certify its environmental management system based on ISO 14001, its first certification. And others were yet to come. But the project only began to turn into a business, explains Becker, around 2001 or 2002 when exports gained strength and the company became a supplier for illycaffè itself. Today, nearly two thirds of the farm’s total area (about 4,200 hectares) are reserved for the preservation of restored forests, vegetation that was present when Daterra arrived and for eucalyptus farming; to produce the wood that powers the furnaces used in the final coffee drying process. The plantation, with a total of 15 million coffea plants, occupies the remaining 2,600 hectares and produces on average about 80,000 bags of coffee, depending on the harvest. Nearly all—99%—is exported, mostly to Japan. The partnership with ESALQ led to an environmental compliance seal in 2001, developed exclusively for the farm as the result of the work carried out to preserve its flora, fauna and water. Based on the experience already accumulated up until that time, the next step was the obtention of certification in 2003 from the Rainforest Alliance; an international non-profit organization dedicated to the preservation of tropical forests around the world. Daterra became Brazil’s first coffee farm to gain the certification; based on acknowledgment of the company’s good production practices, environmental protection initiatives, sustainable production management, its correct use of chemical products and fair relationships with employees and the community. Later, Rainforest Alliance broadened the scope of its certificate; including the Climate Friendly seal in its portfolio, which Becker and her team re-named “Climate Friendly Farm” for Daterra employees, to give them a clearer idea of the new certificate, awarded in 2011. Aside from these certifications, Daterra boasts recognition from Utz Kapeh (more recently renamed Utz Certified); an initiative with origins in Guatemala and which today is headquartered in Holland. Its objective is to assure that coffee was produced according to high quality standards, with respect for the environment and worker safety. The company also holds a Biodynamic Institute (IBD) label, because a small part of its production is organic; using fertilizer made of composted residue from coffee production. Becker explains that Daterra invested some US$ 20 million over two decades and sets aside approximately US$ 1 million every year exclusively for research and development. “I think that 50% of our business is research,” she comments. Branche agricole du groupe DPaschoal, dont les activités se concentrent dans l’industrie automobile, l’entreprise Daterra a été créée en 1980. Son objectif était d’exploiter le secteur agricole d’une façon efficace tout en préservant l’environnement, à une époque où des concepts comme la durabilité environnementale et la réduction des émissions de gaz à effet de serre étaient encore largement ignorés dans le milieu de l’entreprise et même dans les médias en général. « Au début, nous avions du bétail, des eucalyptus et d’autres produits. Ce n’est qu’en 1994 que nous sommes devenus des producteurs de café, en commençant tout doucement avec l’acquisition d’une ferme dans la région de Franca », se rappelle Isabela Pascoal Becker, qui est aujourd’hui responsable des secteurs de la gouvernance et du développement durable de l’entreprise. Une fois encore, Isabela insiste sur le fait que la proposition consistait à produire du café sans entraîner des retombées néfastes sur la nature. Ce fut un long parcours avant d’atteindre le café zéro carbone, mais Daterra est même allée au-delà : elle parvient aujourd’hui à diminuer toutes ses émissions et, plus encore, à accumuler des crédits carbone. Récemment, l’entreprise a contracté les services du consultant DeltaCO2 Sustabilidade Ambiental, composé de professeurs et de chercheurs de l’École supérieure d’agriculture « Luiz de Queiroz » (Esalq), située à Piracicaba, afin de réaliser une étude complète de l’« empreinte carbone » de la production, de la préparation et de la vente du café. L’étude a montré que l’entreprise parvient à équilibrer toutes ses émissions, en bénéficiant même d’un excédent positif grâce aux zones de forêts protégées ou reboisées, aux plantes de café et au café récolté. Les calculs prennent en compte tout le processus : depuis l’activité agricole jusqu’aux hangars des importateurs qui se trouvent au Japon, le plus grand client de Daterra. En outre, ils intègrent les émissions produites au compostage des résidus de la production, à l’utilisation d’engrais chimiques, aux déplacements de machines et de camions dans l’enceinte de la ferme, au transport du café jusqu’au port, à son embarquement et à son exportation par bateau. « Comme valeur finale, on obtient une économie sur le bilan carbone de 7 280 tonnes de CO2 équivalent, soit 90 kg de d’économie pour chaque sac de 60 kg », comptabilise Isabela. Toutefois, dans les années 80, l’image du Brésil en tant que producteur de café était particulièrement entachée sur le marché international à cause de l’absence d’engagement de certaines entreprises exportatrices. « Nous voulions que le pays soit vu sous un autre angle, en démontrant que nous pouvions livrer du café en quantité et en qualité », soutient Isabela. Pour ce faire, Daterra a décidé de se spécialiser dans le segment des cafés de haute qualité, en utilisant exclusivement des grains arabica sélectionnés et en tirant parti de l’expérience initiale réalisée à Franca. L’entreprise a fait appel à des spécialistes de l’Esalq et est entrée en relation avec l’entreprise Illycaffè, la géante italienne du secteur du café. « Nous devions apprendre à produire un café de qualité », raconte Isabela. À cette époque, lors d’une visite à Daterra, Ernesto Lilly, fils de Francesco Illy, le fondateur hongrois de la marque, a fait remarquer que le futur de l’activité caféière du pays devait se concentrer sur le cerrado de Minas Gerais. L’altitude de cette région varie entre 1 200 et 1 300 mètres et présente un climat plus froid la nuit et des jours secs, dont les zones plates favorisent la mécanisation de la cueillette. L’entreprise a quitté Franca en 1994 à la recherche de terres plus propices, pour installer son nouveau domaine agricole à Patrocínio, dans l’ouest de Minas Gerais, sur une propriété de 6 800 hectares. Les dix premières années ont cependant été consacrées à la remise en état du domaine : il était nécessaire d’effectuer un travail de « reconstruction du contexte naturel du cerrado », conformément aux dires d’Isabela. Il a fallu recomposer toute la flore, récupérer les ressources en eau et reconstituer la faune, en comptant une nouvelle fois sur la collaboration de l’Esalq quant à la préservation de la flore et des ressources hydriques, et de l’Institut agronomique (IAC). D’après Isabela, ce dernier aurait aidé à choisir les variétés de café les plus appropriées. « En réalité, les deux institutions sont nos partenaires et nous aident encore aujourd’hui », ajoute-t-elle. En 1999, Daterra est parvenue à faire certifier son système de gestion environnementale reposant sur la norme ISO 14001, sa première homologation. D’autres homologations suivraient ultérieurement. Le partenariat avec l’Esalq a permis de développer, également en 2001, un label de conformité environnementale, spécialement élaboré afin de couronner les efforts réalisés par la ferme dans la protection de la flore, de la faune et de l’eau. En se reposant sur l’expérience accumulée jusqu’alors, l’étape suivante, en 2003, consistait à viser la certification de la Rainforest Alliance, une organisation internationale à but non lucratif qui se consacre à la préservation des forêts tropicales dans le monde entier. Daterra a été la première ferme productrice de café au Brésil à obtenir cette certification, dont l’attribution dépend des bonnes pratiques de production, de la protection environnementale, de la gestion durable de la production, de l’utilisation appropriée des produits chimiques et des relations honnêtes avec les employés et la communauté. Plus tard, Rainforest a élargi le cadre de sa certification, en incluant dans ses propositions le label Climate Friendly, qu’Isabela et son équipe ont traduit par « Ferme Amie du Climat » afin que tous les employés puissent avoir une meilleure idée du nouveau label qui leur a été accordé en 2011. Outre ces certifications, Daterra met en avant la reconnaissance de l’Utz Kaped (récemment renommée Utz Certified), une initiative initialement apparue au Guatemala et dont le siège se trouve maintenant en Hollande. Celle-ci a pour objectif assurer que le café a bien été produit selon des exigences de qualité élevées, tout en respectant l’environnement et la sécurité des travailleurs. L’entreprise détient également le cachet de l’Institut Biodynamique (IBD). En effet, une petite partie de sa production est biologique et a recours à des techniques d’amendement des sols à partir du compost des résidus de la production de café. En vingt ans, précise Isabela, Daterra a investi environ 20 millions de dollars américains dans la recherche et le développement. Tous les ans, elle réserve environ un million de dollars américains rien qu’à la recherche et à l’innovation. « Je pense que 50 % de notre affaire consiste à faire de la recherche », commente-t-elle.